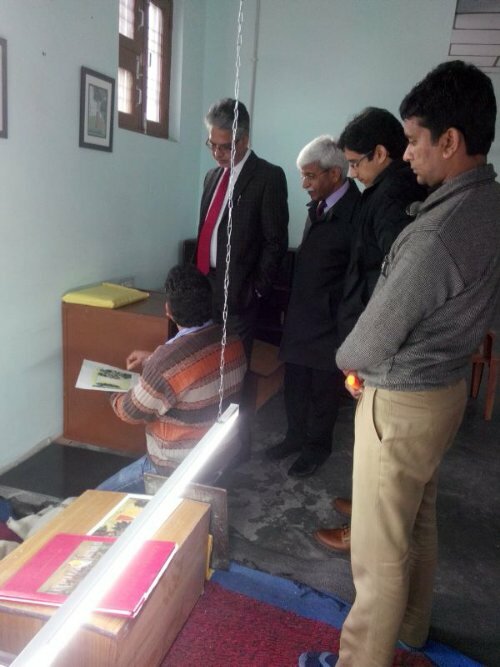 Prof Furqan Qamar, Vice Chancellor Central University of Himachal Pradesh visited KAPS studio on 7th January. He took this opportunity to meet the artists and see the paintings displayed in the studio. Monu and Pawan, both Kangra paintings artists associated with KAPS shared their experience with dignitaries. Discussions were held regarding possible association of KAPS and the university for future programs and projects of both the institutions. Prof Yoginder Verma and Prof Arvind Agrawal from CUHP and Varun Singh and Shilpa Jain from KAPS were present during the visit.